Update on late May 12th! PFC FPO got over subscribed 3.6 times on Thursday. While the FII portion was subscribed a healthy 6.9 times, the HNI (0.01 times) and Retail (0.34 times) subscribers are waiting for the last day. This indicates a likely surge tomorrow in the latter two categories. Power Finance Corp is a power sector PSU available at attractive valuations. Demand in the sector remains robust. Subscribe to the FPO. The shortfall of peak power has been 8-12% in the last decade. PFC is a firm that funds and stimulates power generation capacity in India. It is a Navaratna PSU registered as a NBFC with ‘Infrastructure Finance Company’ status. PFC has a market share of about 20% in the Indian power lending industry, across all entities, NBFCs/ Banks, private/ public, and Indian/ MNCs. It also lends to related sectors like Transmission Projects and Distribution, and runs the DRUM program (Distribution Reforms, Upgrades & Management). PFC first got listed in a Jan 2007 IPO, and got oversubscribed by 75 times; and the IPO price was set at Rs 85. 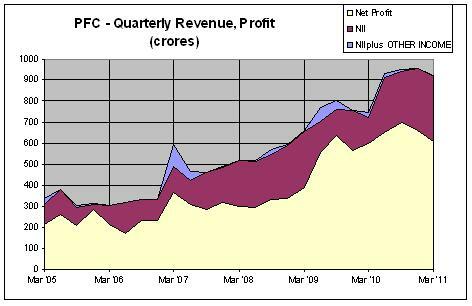 PFC has certainly outperformed the NIFTY since it’s IPO. PFC is a nodal agency to facilitate implementation of Ultra Mega Power Projects; these have a capacity of 4,000 MW. PFC charges consultation fee of Rs 15 crores for accomplishing the legal approvals and consultation for a UMPP, thus acting as a one-stop solution provider. The Ministry of Power, Govt. of India has launched the Restructured Accelerated Power Development and Reform Program (RAPDRP) in July 2008 with focus on establishment of base line data and fixation of accountability, and reduction of AT&C losses through strengthening and up-gradation of transmission and distribution network and adoption of information technology during XI plan. PFC is allowed to raise tax-free retail bonds; this has allowed it access to lower cost capital. PFC is also analyzing entry into funding for Nuclear Power plants. The price band is fixed between Rs 193 – 203 per equity share. The offer will be open from May 10-13. The IPO will raise funds of Rs 4400 – 4,700 crores at the lower and upper ends of the price band. The follow-on public offer (FPO) comprises a fresh issue of 17.21 crore equity shares by the company and an offer for sale of 5.73 crore equity shares by the Government of India. Currently Government holds 89%. The FPO would result into equity dilution of 14.99%. Help PFC keep capital adequacy ratio at 15% over the next few years – it has fallen to 16% now after the lending operations of this year. Note that Retail may be allotted at 5% below 193 – that makes it quite attractive. Most power generation projects have Coal as fuel. Coal is generally supplied by Coal India Ltd. – which has not been able to meet production targets in recent quarters. There have also been supply chain issues with coal – such as inability of Indian Railways to handle transportation. Coal is also being supplied from Australia. This supply got affected recently due to floods there. The fuel supply risks are being addressed in new projects by long term commitments from suppliers for new power generation projects. While PFC’s gross and net NPAs have remained negligible in the last five years, defaults – it does not make provisions for loans turning bad – and higher credit costs could impact its balance sheet and earnings. 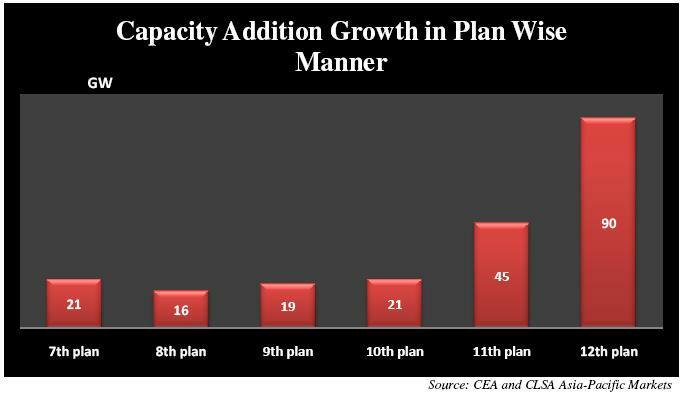 India is a power deficit country and the current growth path will require continued capacity additions and efficiency improvements for foreseeable future. 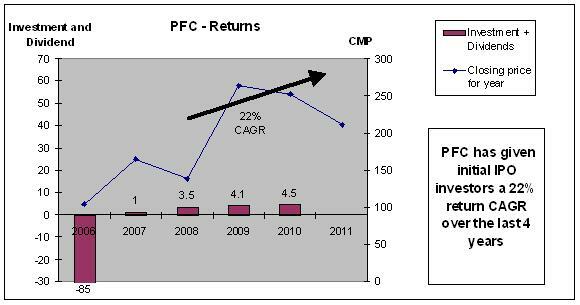 PFC is another monopoly PSU and will execute on government objectives, in an assured returns environment. 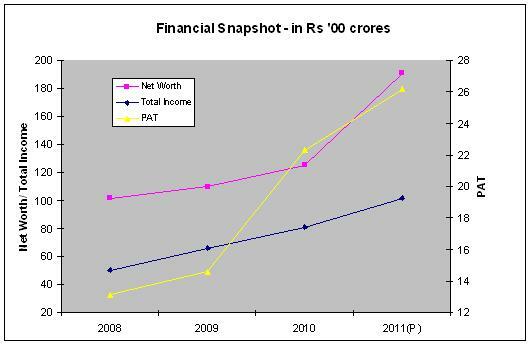 PFC can be a Core holding in the Core – Satellite portfolio for investors. The current FPO offer is at 52 week low of market price. The fall in share price by 45% from the Oct 2010 peak has made current valuations attractive. This reduces the risk of the asset at this price. Do you find this report useful? Please comment below. You can also subscribe for my posts by filling the ‘Sign me up’ box on top right of this page. I am here to check the latest….You had said you would review and advice on 12th…I don’t see any advice or update…. Punit..thanks a lot for your information about PFC. I was going through their financial statements and found that they have very high negative cash flow from operations. Is is correct to invest in company which have negative cash flow. Avinash, Good point you have made. Infrastructure is by nature an initially cash intensive, long gestation business. PFC is in funding of this, so one would expect poor cash flows. Having said this, there is a red flag around NPA/ defaults that I have mentioned as a risk. The expectation is that this risk will be dealt with by the firm over a period of time, with the government as guarantor. Pretty much sums up what a retail investor looks for :) Along with the strategies and analysis it would be useful if you could have a separate page where few financial ratios and other jargon were explained.. Among other sites, this can help you get hold of standard financial terms. Thank you, very useful info. Awaiting yr suggestion of the best psbl subscription to this issue. Ciao, have a nice day!